Need a cute baby gift to have on hand? 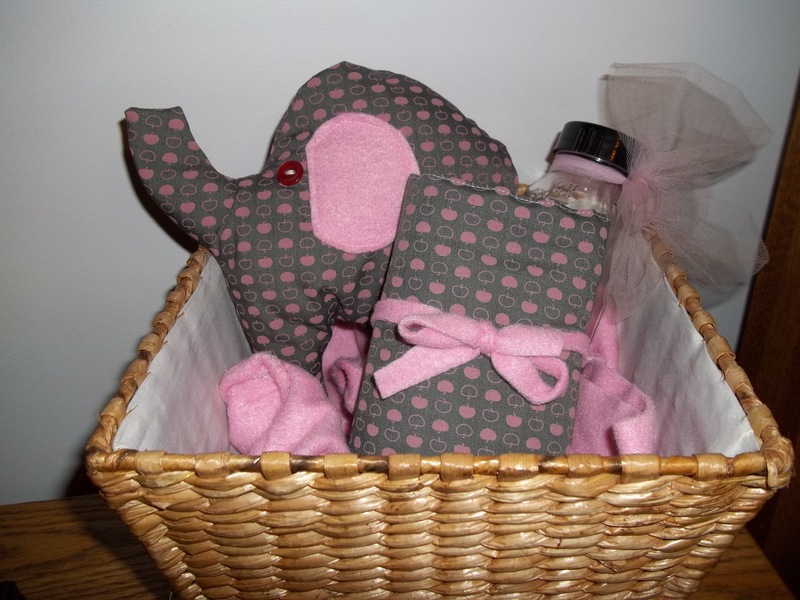 Here’s a sweet idea that can be adaptable for a boy or girl–a plush baby elephant and cute burp cloth to go with. Even though my baby days are long gone, I still enjoy oohing and aahing over all the cute baby ideas that I see. 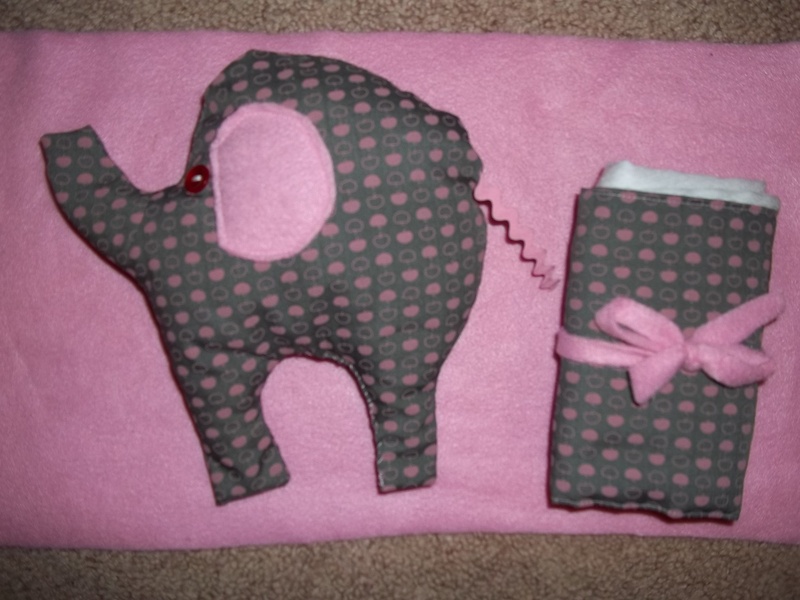 Elephants seem to be popping up in baby apparel, shower ideas, and nursery decor, so I came up with this adorable elephant baby set. 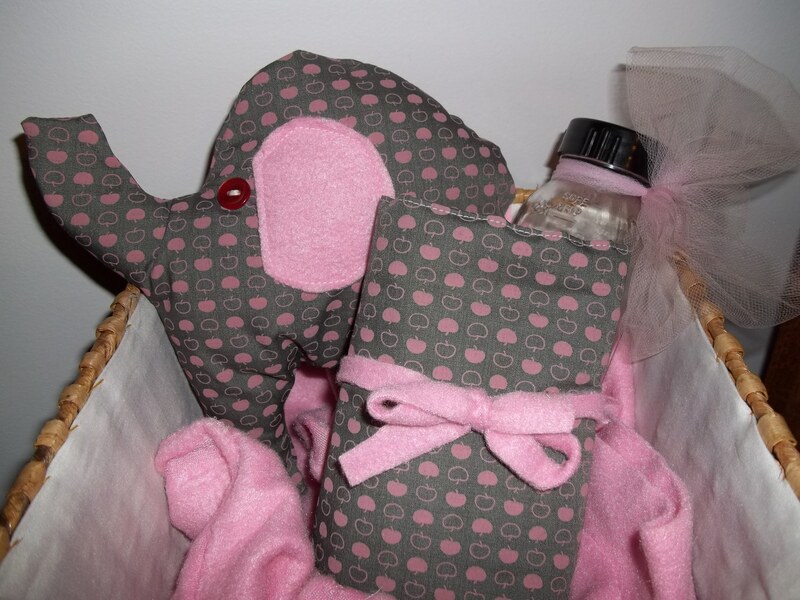 As you can see, it’s a plush baby elephant, a burp cloth to match, and an antique glass baby bottle to add extra sweetness. 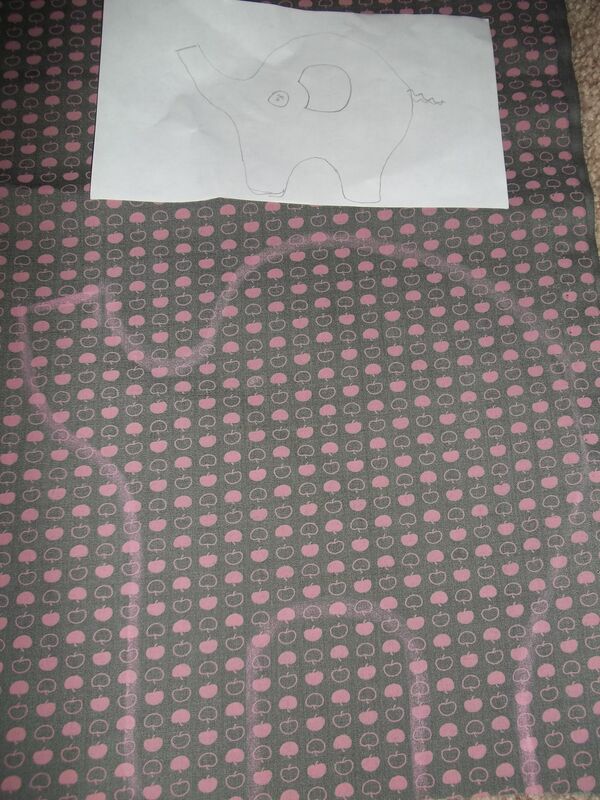 Sketch out an elephant shape onto the fabric of your choice. 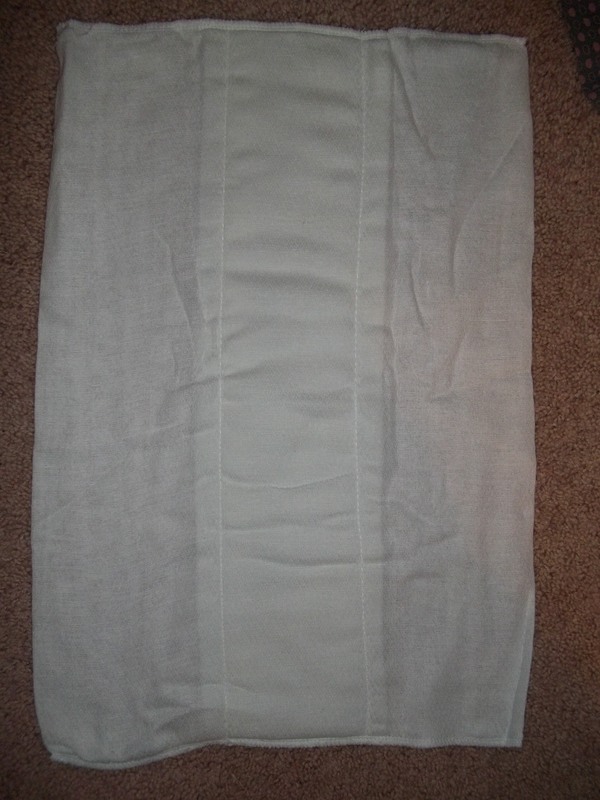 Fold the fabric in half first so you don't have to trace and cut twice. 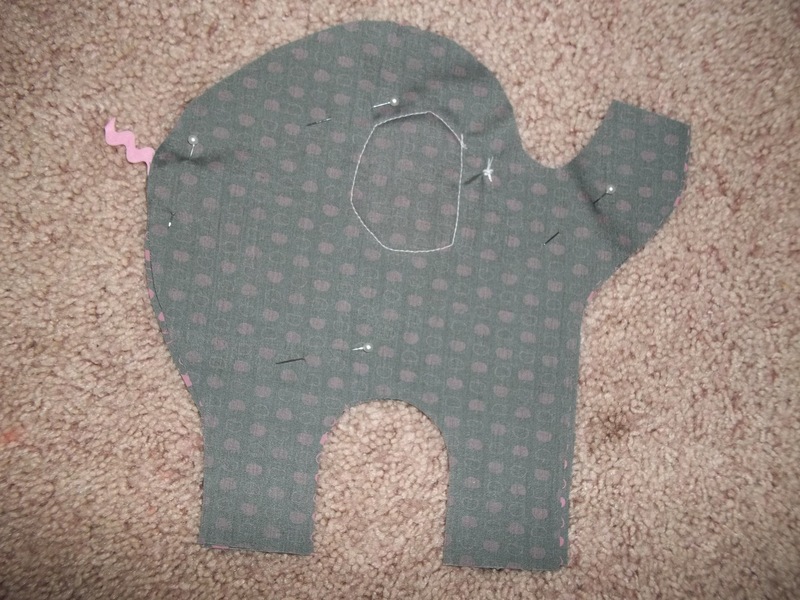 Cut out elephant shapes, two ear shapes, and gather two buttons for the eyes and a piece of rickrack or ribbon for the tail. Then sew on buttons for each eye. Make sure to do these very securely! Or, as an option, use embroidery floss to create an eye. 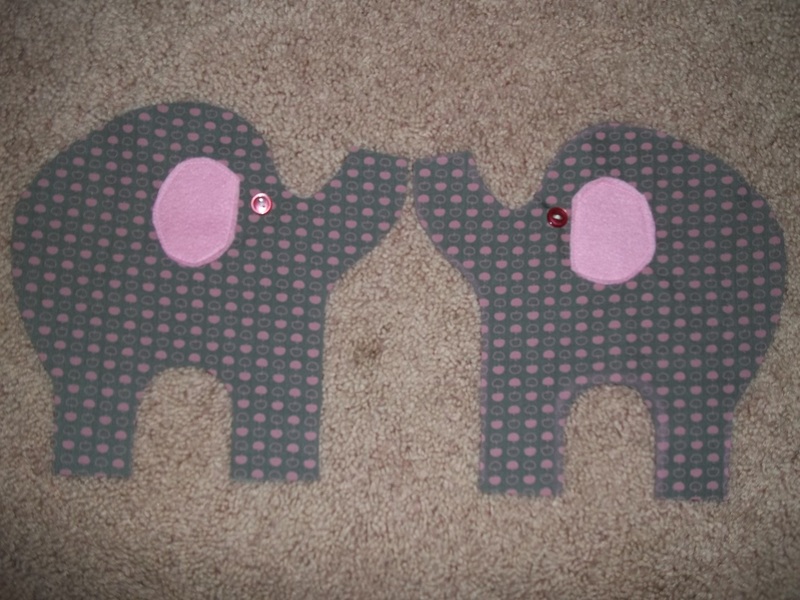 Pin the two elephants together, right sides facing one another. Place the tail piece where you would like it, with most of it on the inside and a small piece sticking out. 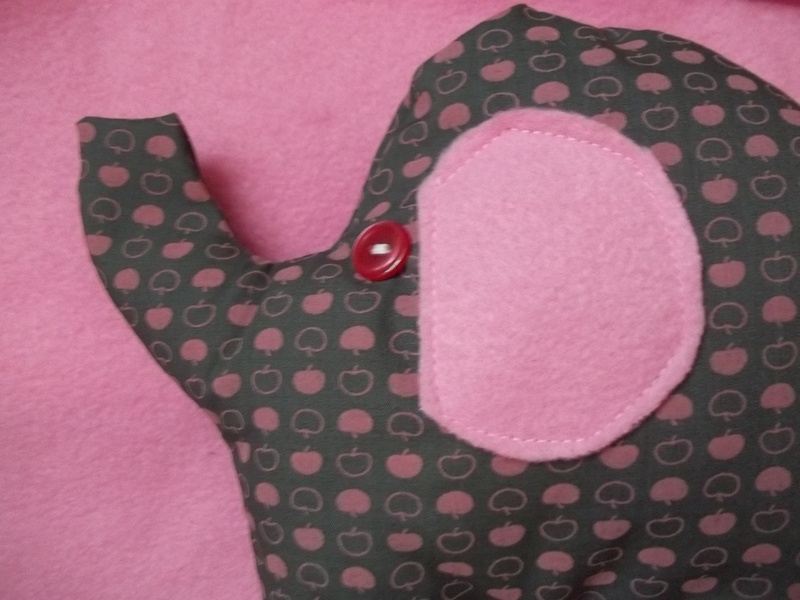 Sew around most of the elephant, leaving @2" open. Flip right side out, stuff with polyfil, and hand-sew the opening closed. Now you have a cute baby elephant! Start with a new basic cotton cloth baby diaper. 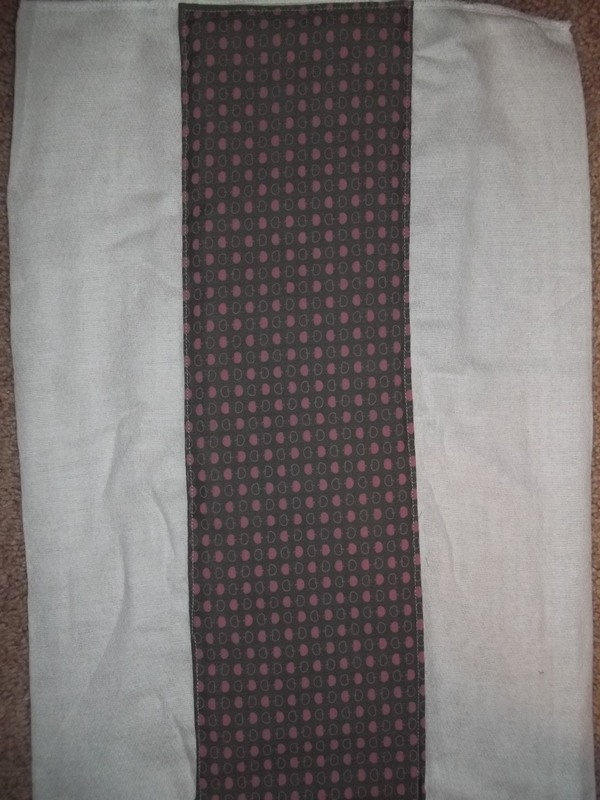 Using a matching or coordinating fabric, measure out a piece that covers the entire middle section of the cloth diaper. Cut, place over that section, press all edges under, and pin. 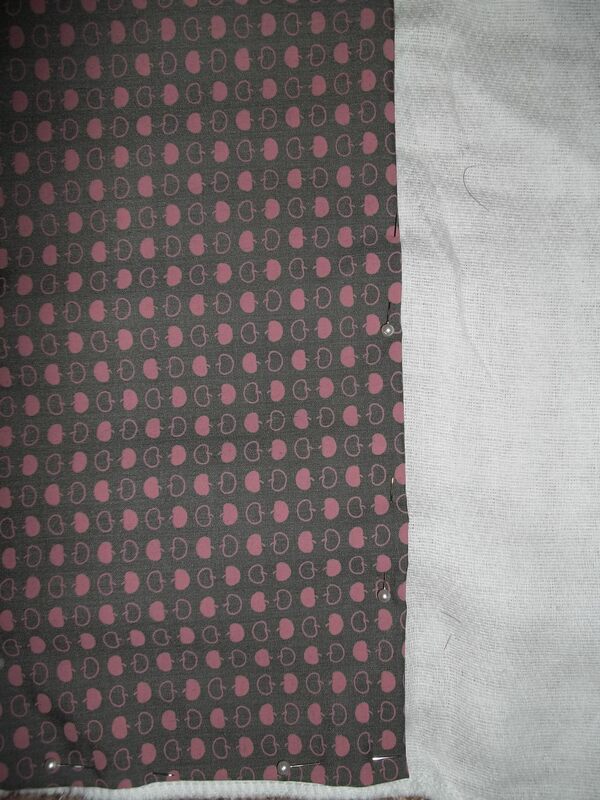 Sew around all 4 sides of the fabric, creating a nice crisp edge. You could also trim it out in rickrack or ribbon, but I left mine pretty simple this time. Fold neatly so print is mostly showing and tie up. 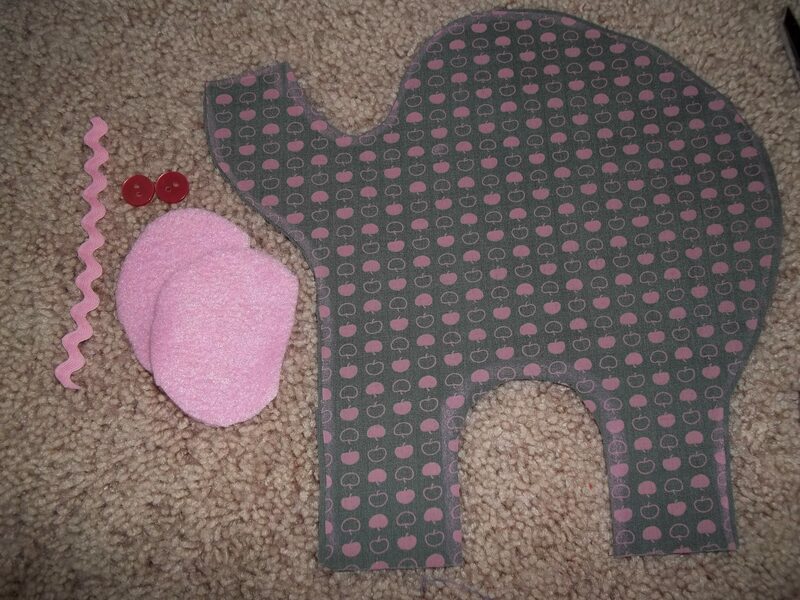 I used a length of the same pink fleece I used for the elephant's ears. So cute!! Love that little elephant! What an adorable little elephant!! I love handmade gifts! Very cute! I know SO many people having babies, I may have to copy this a few times. Thanks! Awwww…Love this! Thanks for linking up to Things I’ve Done Thursday! This is adorable! What a great gift! I’m having my very first link party: PitterAndGlink’s Pinkerific Party for Breast Cancer Awareness. I would love for you to link up this or another of your pink projects! Here’s the link: http://pitterandglink.blogspot.com/2011/10/my-first-linky-party-pinkerific-party.html. Have a wonderful weekend! Thanks for joining last week’s What’s In The Gunny Sack? link party and I hope to see you again for tomorrow’s party! Hi I’m a new follower from Cure for the Common Monday. I love elephants!! Great gift idea! Thank you so much for joining the Make Yourself Monday blog hop!! So dang cute! Thanks so much for linking up with us at Show & Share! Hope you’re joining us again this week!